As for the hard-working village women of ancient Russia they wore comfortable clothes while collecting the harvest on the fields under the scorching sunbeams in summer or when caring for their livestock and poultry. 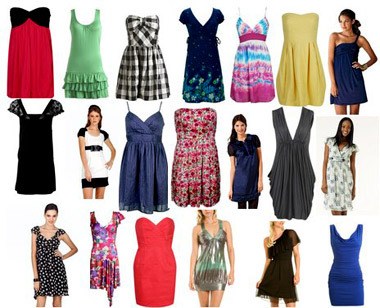 The present-day clothing style will never lose touch with previous centuries' clothing styles. Russian women have their own sense of style, and it's a vast landscape of urban and rural areas that influences it greatly. If you take a trip to Russia in summer, you'll have the opportunity to observe the variety of styles from quaint to flamboyant, and along with this you can notice the emphasis on warm, rich fabrics and bright colors. In today's Russia trends are coming and going away by leaving a share of each of them and creating their own understanding of how one should be dressed on through involving local features. The inhabitants of the northern areas of Russia prefer less fashionable clothes than their compatriots from the South of Russia. The girls from the southern parts of Russia opt for brighter and more colorful dresses. For sure you'll never see the western women opting for high heels and leather over the sneakers and T-shirts, but Russia is like an especial island with a set of its own rules in fashion. Have you ever been lucky to see the girl dressed in a stunning evening dress when riding a motorbike? Just arrive to the Crimea when bikers’ rallies are taking place there, and a huge variety of events, adventures and pictures you have never imagined will fall on you. As for the trendy Russian women of all regions they may easily combine high heels and a T-shirt; decorative embroidery under the leather jacket is an ordinary thing there, too. Besides, many of the Russian girls love to wear clothes as if copied from the celebrities' styles. Despite the fact that the Eastern Europe trends break into Russia a few years later Russian girls are able to value them in full, paying attention to a high level of detail, bright colors and eye-catching features. Russian ladies seem to wear very flashy and expensive clothes, as the visitors of Russia may suppose. But these genuine women realize that far not all the bodies are suitable for all fashion trends. They prefer to study their personal style thoroughly and can pick out clothing items, which look good on them and make the girls feel comfortable wearing. Here you can know more interesting things about Russian women and satisfy your curiosity as well.